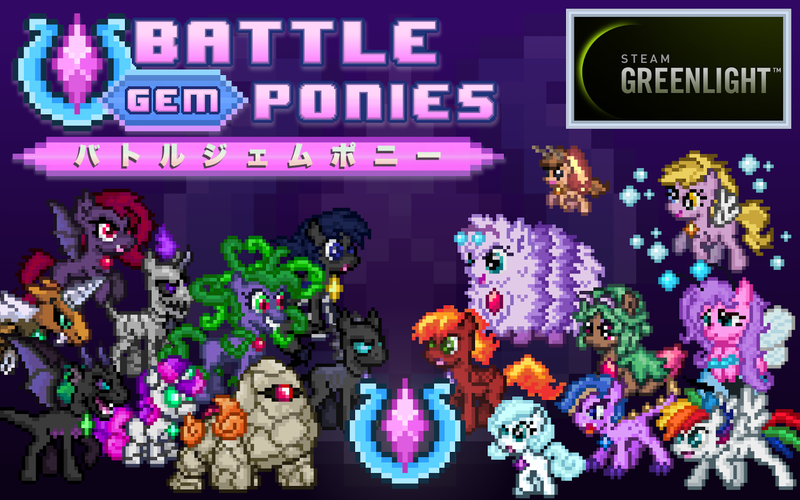 Equestria Gaming: Battle Gem Ponies Now Available on Steam Greenlight! 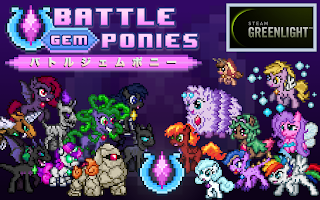 Battle Gem Ponies Now Available on Steam Greenlight! Well, it looks like we're kicking off 2017 with a bang, eh? Luckily, y'all won't have to wade through lines upon lines of me rambling about horsegames this time, as the developer's written his own press release for this, haha! Battle Gem Ponies is making some noise over on Steam Greenlight! The newest update is here with some highly requested features like pony-surfing, capture mechanics, and a few new customizable moves. The next few days are going to prove if pixelated pony RPGs can stand alongside NIA: Path of Light and Ambient:White in the Steam catalog. If you want to check out the newest build for yourself, just click the link below. If you'd like to see this game on Steam someday, be sure to give a thumbs up on the Greenlight page! This is a project still in the early stages of development and currently functions more like a tech demo than a carefully crafted adventure. Each and every bit of feedback is going to help shape the game's design, how characters look, and how the story develops as new updates are released month-by-month to showcase the game's progress. So yeah, you heard the guy! Download, play, enjoy and remember to give some feedback and give a thumbs up on the Greenlight page! Let's make some magic happen!